For Nite Art, Arts West, University of Melbourne will be featuring the work of contemporary Melbourne artist Cyrus Tang. 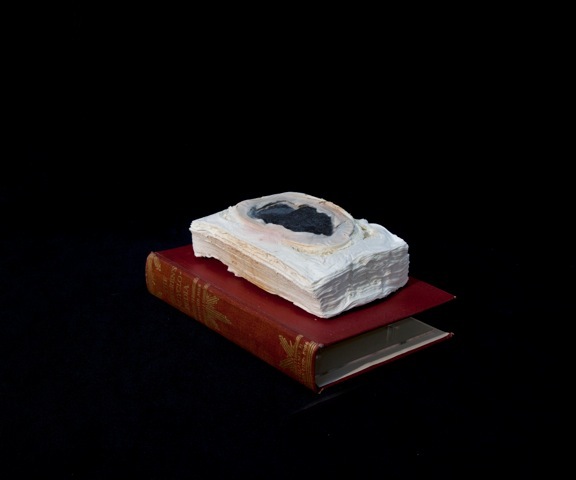 Cyrus’s work in ceramic, photography and digital media has often explored ideas of loss and displacement. A selection of recent works will be displayed on Floor Five of Arts West, University of Melbourne. Born in Hong Kong, Cyrus Tang moved to Australia in 2003. She studied at the VCA (2004) and Monash University (MFA)(2009). She has held residencies at the Banff Centre, Canada (2008), Cite International de Arts, Paris (2009), National Art Studio, South Korea (2012) and the Helsinki International Artist Program (2013). She was the recipient of awards and grants from the George Mora Foundation (2008), Asialink (2012), the Australia Council (2009, 2011). Cyrus lives and works in Melbourne and is represented by Arc One Gallery. Her work has been exhibited in galleries throughout Australia and Internationally.